Not only did Kathryn Mitchell succeed fellow Australian Kim Mickle as Commonwealth javelin champion, but the 35-year-old beat her Games record by three metres with 68.92m. 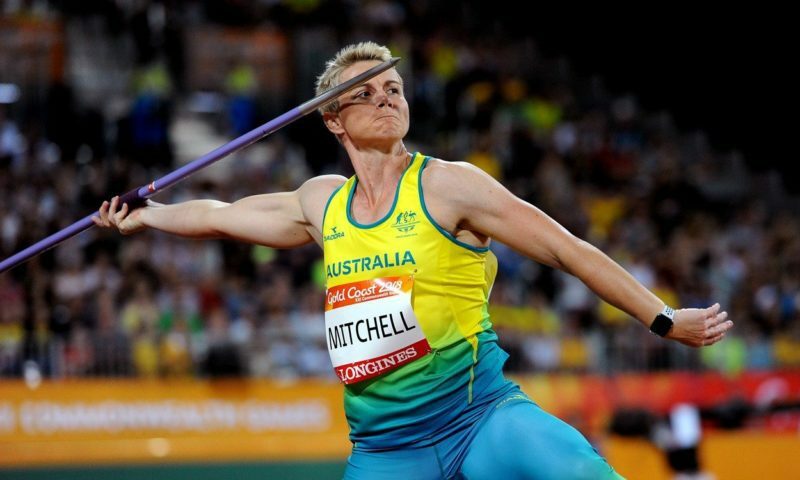 Mitchell placed sixth, fifth and fourth in her three previous Games, but sealed victory on the Gold Coast with a mighty first round effort which also beat her own Australian record of 68.57m, which was set last month. Behind, Kelsey-Lee Roberts ensured a host nation one-two with her final round throw of 63.89m, while Sunette Viljoen, the 2006 and 2010 champion from South Africa, took bronze with 62.08m. While Mitchell was never going to be caught, the women’s 3000m steeplechase was a different story. With a lap to go, Celliphine Chespol looked a sure-fire winner but Aisha Praught-Leer of Jamaica had not given up chasing about eight metres behind the runaway Kenyan. By the time the runners reached the water jump on the final bend, Praught-Leer had almost caught the Kenyan. The 28-year-old then breezed past Chespol with 80 metres to go to win by 1.61 seconds in 9:21.00. Kenya took another minor medal with 2014 champion Purity Kirui winning bronze, but there were shades of the 2017 World Championships final where Americans Emma Coburn and Courtney Frerichs swept past Kenya’s Hyvin Jepkemoi in similar style. The winner on the Gold Coast even has American links as she was born in Illinois, lives in the United States and is married to US miler Will Leer.